Russian President Vladimir Putin and President Trump pose ahead a meeting in Helsinki, on Monday. Trump is under pressure to confront Putin about the indictment of 12 Russians accused of conspiring to interfere in the 2016 election. President Trump and Russian President Vladimir Putin sat down for a summit today in in Helsinki, Finland. 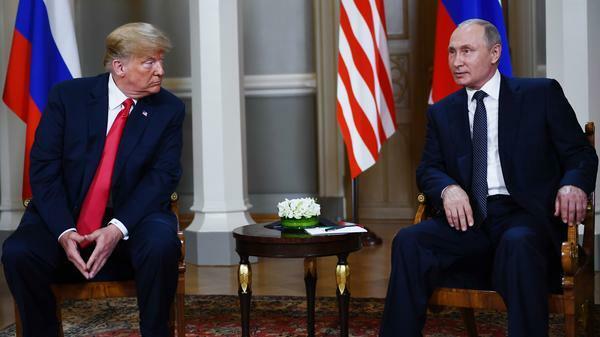 This is the first stand-alone summit between the two leaders, and comes just days after an American grand jury indicted 12 Russian intelligence officers on charges related to Russia's interference in the 2016 election. The two leaders are holding a news conference following their meetings.